In July last year the Competition Commission fined companies carrying out major 2010 World Cup projects with ZAR 1.5 billion for rigging tenders. In short, the companies colluded to distribute projects among themselves instead of competing, which cost the taxpayers 17.5% more on average. Now Cape Town becomes the first city to seek compensation for the rigged tenders. 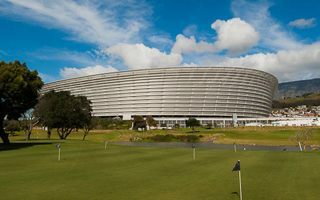 The city hopes to recover ZAR 400 million from Murray & Roberts and Wilson Bayly Holmes-Ovcon (WBHO) joint venture, contractors of the Cape Town Stadium. Most expensive in this part of the world, the stadium is a major burden on the city’s annual budget, losing money with no perspective of breaking even any time soon. Mayor Patricia de Lille wants to make the problem smaller by reclaiming some of the overpaid construction costs. Other stadiums affected by the bid-rigging were the Mbombela in Nelspruit, Peter Mokaba in Polokwane, Moses Mabhida in Durban, Soccer City in Johannesburg and Nelson Mandela Bay in Port Elizabeth.